It’s almost Father’s Day – time to make our dad’s and husband’s feel special. 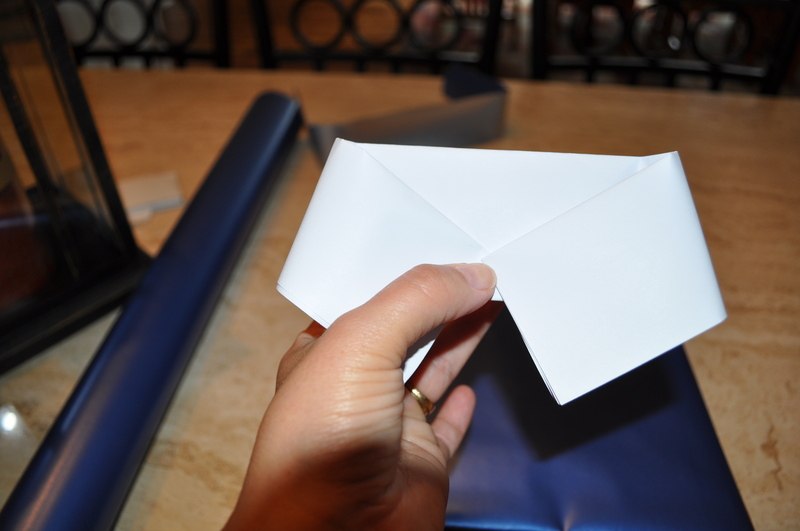 This is a quick way to make your present just for dad. 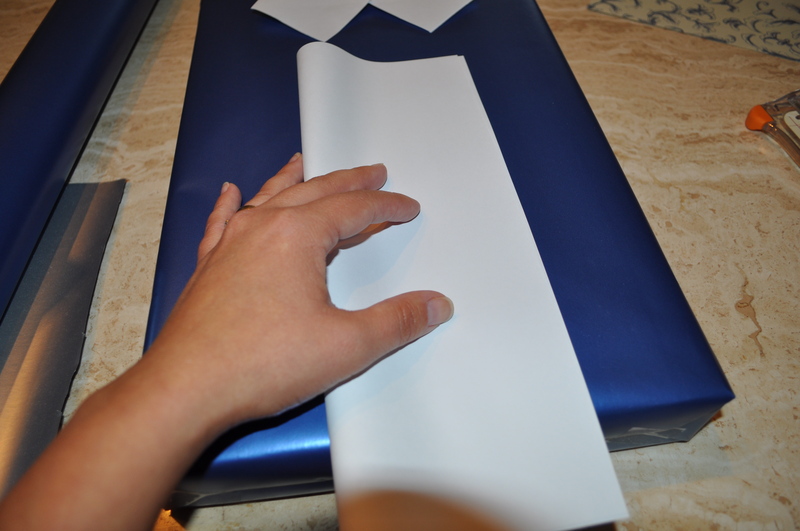 Wrap your present in the paper you want for your shirt. 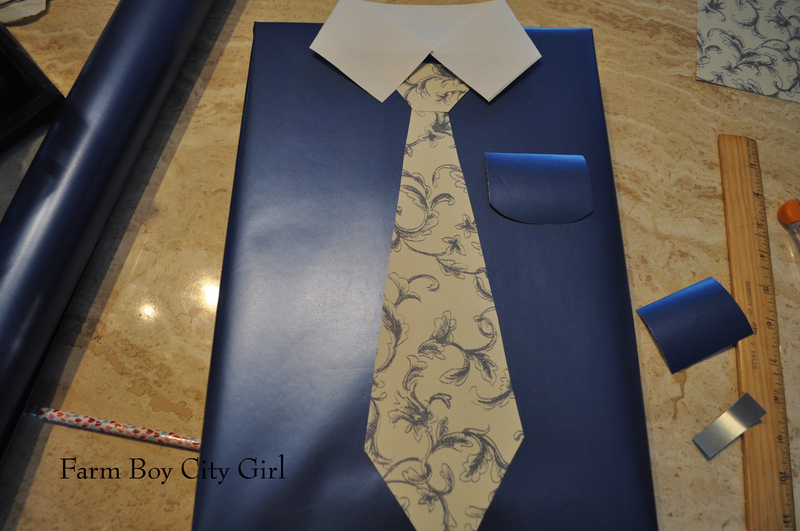 I chose this blue paper for a traditional shirt. 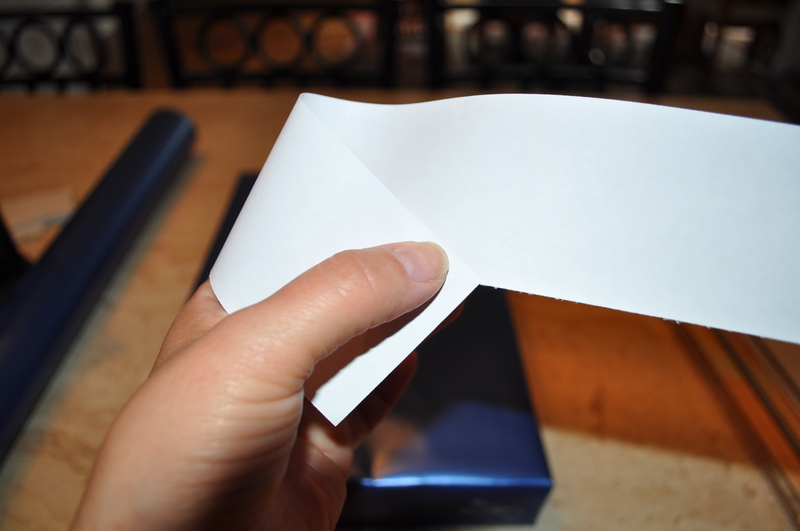 For the collar, take a white piece of 11 x 81/2 paper and fold it the long way. 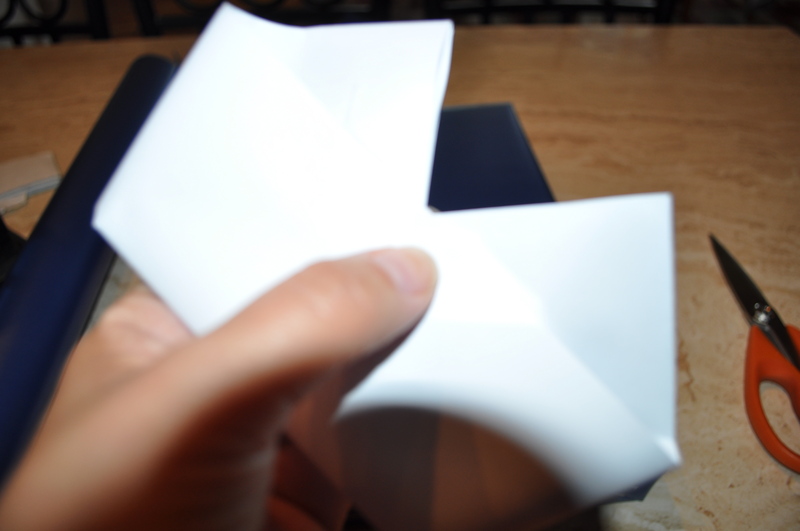 Then fold it one more time. 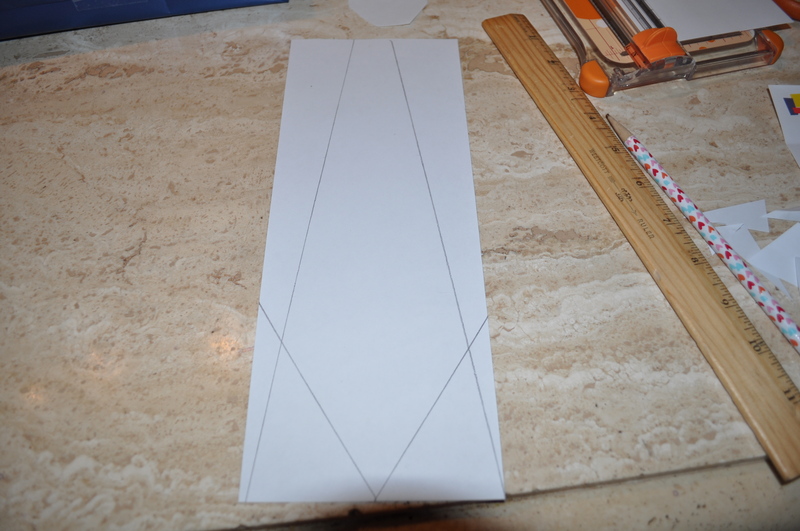 Cut one of the strips for the collar. Bend one side down and then bring the other side around. Tape the collar on the back. 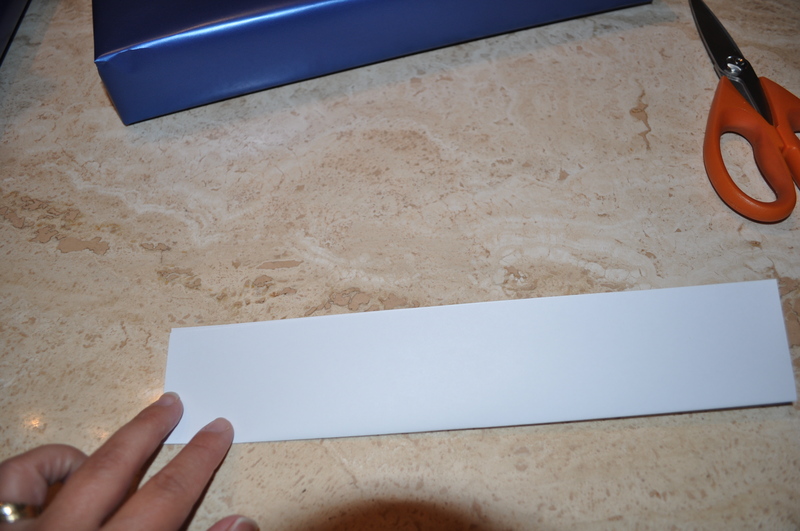 You could also use your wrapping paper but this is about the size of the strip you need for a standard shirt box. 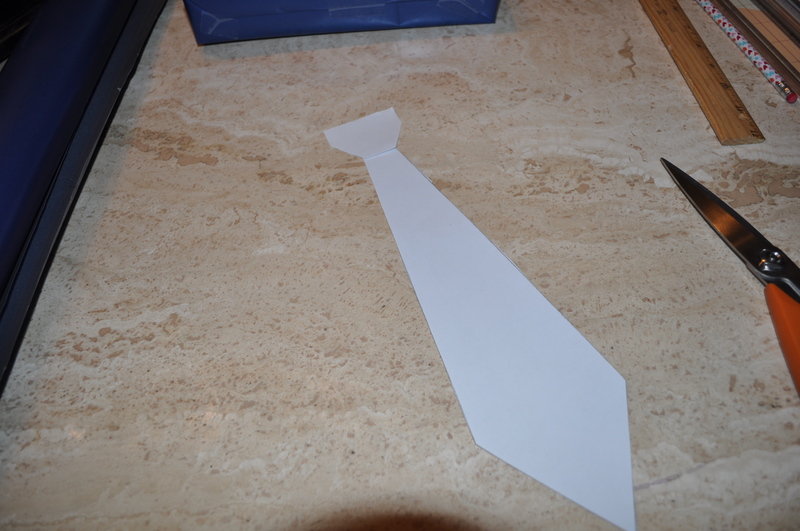 Figure out how large you want the tie and cut a rectangle piece the width of the tie. Take a ruler and mark out your template. 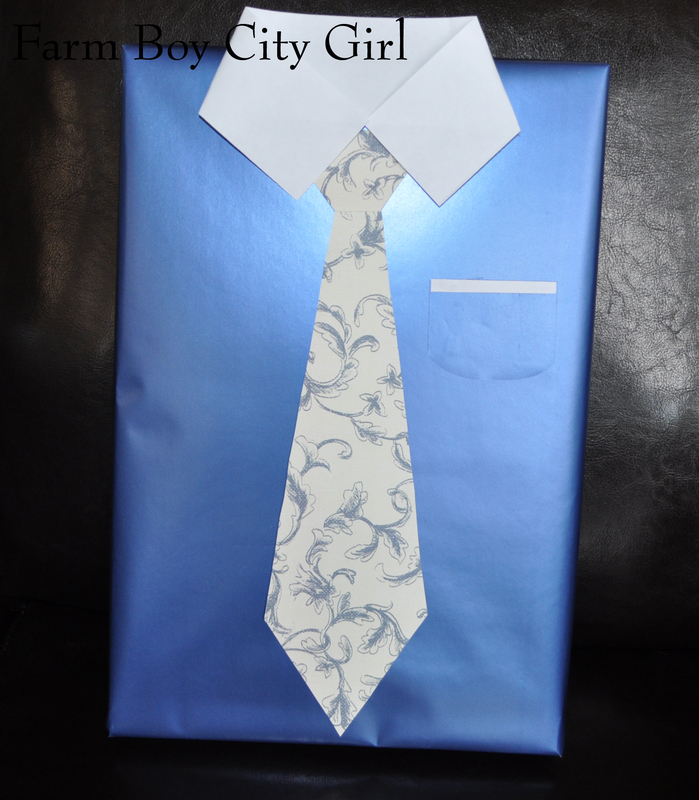 I chose a patterned scrapbook paper for the tie. You could also use another wrapping paper etc. 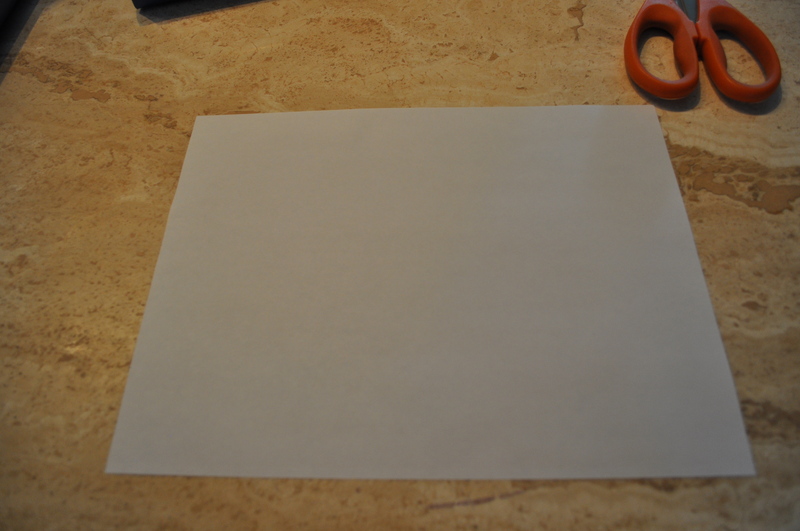 Trace the template on the back of the paper and cut out your tie. Position everything on your box and use double-sided tape to hold it down. I wanted a pocket so I cut that out of the blue paper and then put a white strip on the top of it. 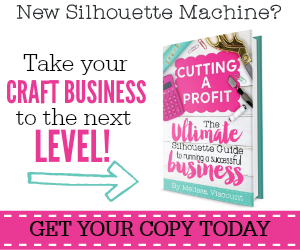 There are so many types of shirts you could do. You could do a Hawaiian shirt and just put buttons down the middle instead of a tie or a golf shirt and stick a little golf tee or pencil in the pocket. Cute! I would love to see what you come up with. 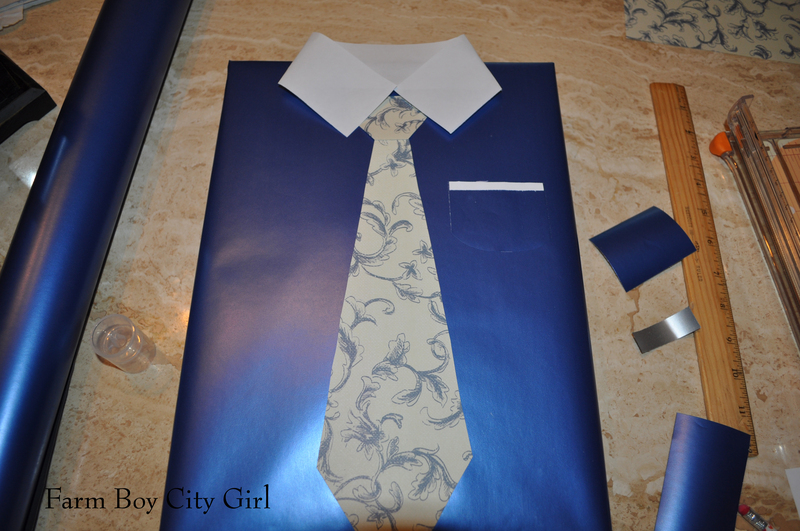 This entry was posted in Wrapping Presents and tagged best way to wrap a present, cool ideas for wrapping a present, Double-sided tape, Father's day gifts, fathers day, Gift, Gift wrapping, Necktie, Paper, Shirt, shirt present, shopping, unique gift wrapping, wrapping a present to look like a shirt. Bookmark the permalink.